This past Sunday, rocket startup Rocket Lab launched a three-foot-wide mirror ball into orbit. Called “Humanity Star,” it’s supposed to remind us that we’re all puny specks of dust living in the terrifying vastness of the Universe. Some astronomers have spoken out about the stunt, claiming the sparkly object will interfere with their work—one even compared the abusiveness of the act to sticking “a big flashing strobe-light on a polar bear.” That’s an overstatement, but the bigger problem is the precedent this otherwise useless satellite creates. “Wow. Intentionally bright long-term space graffiti. Thanks a lot @RocketLab,” California Institute of Technology astronomer Mike Brown wrote on Twitter. Or, as the director of astrobiology at Columbia University Caleb Scharf wrote in Scientific American, the star represented “another invasion of my personal universe, another flashing item asking for eyeballs”. Harsh words, to be sure. But are they right? We toss satellites into orbit all the time, and this disco ball isn’t going to be much brighter than satellites of the same size. Is Humanity Star really going to make that much of a difference to astronomers? Méndez says he’s not particularly concerned with these sorts of short-lived satellites, so long as they don’t become a trend. Emily Petroff from the Netherlands Institute for Radio Astronomy says we put satellites into orbit with great frequency, and that most people would be shocked by how much stuff is up there. 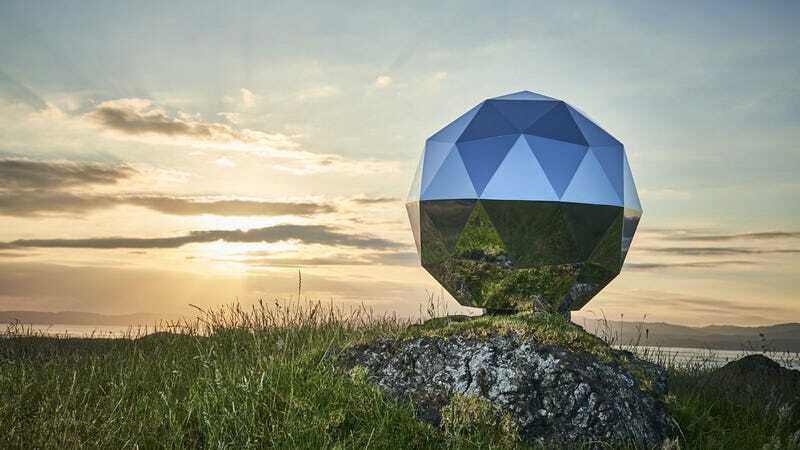 John C. Barentine, director of conservation with the International Dark-Sky Association, believes the impact of Humanity Star will be minimal. A larger concern, says Barentine, is that the stunt may send a message to others with similar plans, like the Orbital Reflector, for example.